"Next on LBC, we'll take a thorough look at what's in the BBC 5 Live 0800 bulletin this morning'." It's certainly not what you'd hear Nick Ferrari say. Not least because his impressive tabloid gut means he instinctively teases much better than that. But, more importantly, he wouldn't say it as I suspect any stories worth mentioning would have been included in his own programme or bulletins; and, anyway, why would he wish to promote another news supplier without good cause? Why does it happen all the time with press, though? Huge TV and radio stations allot chunks of their output to 'looking at the papers'. We broadcasters seem obsessed with chatting endlessly about what another media has chosen to include. Regardless of the fact that the broadcast programme is far more up to date than the press we are chatting deferentially about. Maybe it's just a peculiar tradition. In my early days on-air in the '80s, disk-jockeys pored over the Sun for a quick funny to slot in between the Dooleys and Dollar. Mind you, there was little other material to inspire us, and no Internet or social media to point us to anything else. 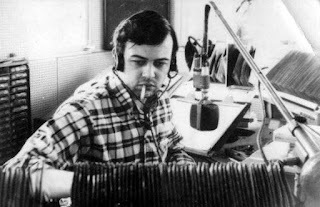 Back then, and to this day, it infuriates radio station news editors when presenters merrily read out a press headline in a 'wow look at this' tone of voice, when it was a story carried in the station's own bulletins the day before. It's as if it has to appear in the Mail before it becomes real news. I'll leave others to write of the serious risks of presenters quoting a dodgy newspaper front page headline on-air, with neither the comfort of the caveats in the remainder of the article - nor News International's legal insurance policy. To this day, presenters lean on these organs, even though their relevance and importance has long been eroded. 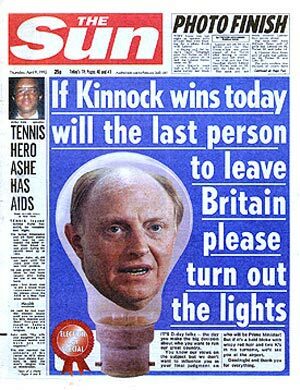 Would Theresa May really care nowadays if the Sun happened to picture her face in a lightbulb on the eve of the Election? 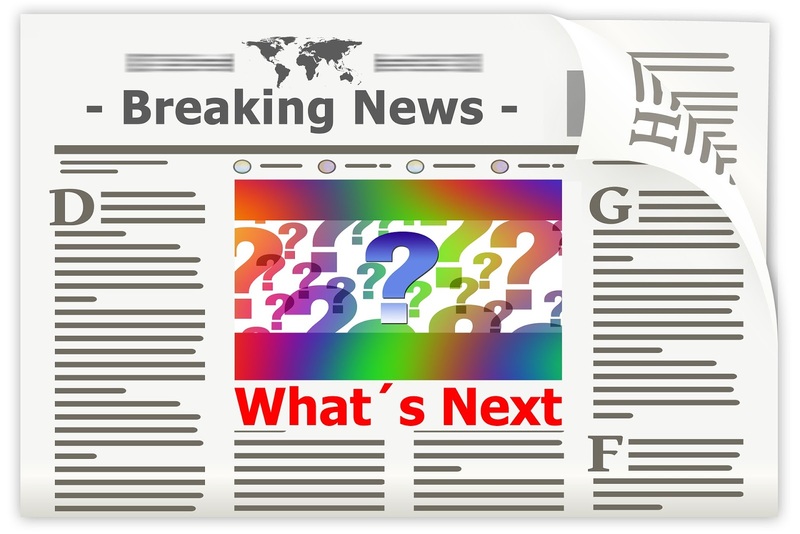 TV news channels import weighty panels of chirpy experts to review what's been written about a few hours ago, and won't be seen by anyone until the following day. I don't begrudge any of my fellow broadcasters the dime, and I'd do it, if asked, frankly, but I do wonder what's driving these daily rituals? It wouldn't be so bad if broadcasters did 'review' the publications, but they don't. They just talk about the stories. And, as every good broadcaster knows, you don't actually need an in-line like 'Hey...here's something interesting in the newspapers', to justify talking about an interesting thing. It's not as if the press write much about us in exchange, really. Their coverage appears to extend only to miserable industry controversy or an arty Radio 4 play. Yes, there are times when the press create some original journalism which becomes a story which lives in the hearts of our listeners. I don't begrudge them recognition for that, and those topics, rightly, are echoed in other media, just as a great line from a live LBC broadcast is PRed impressively and magnified merrily by other media. That's not the same thing as 'let's sit down for no apparent reason and talk about someone else's news agenda'. 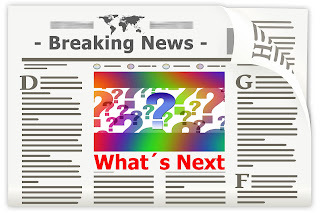 We don't routinely talk about what's hot on Twitter, or infrequently what's in the Huffington Post. We do when it's peculiarly and specifically relevant. The World has moved on since this newspaper reviewing fetish began. 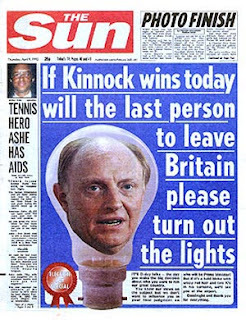 Are we distorting the influence of scantily-regulated press by continuing to talk about what they've chosen to run? Do we have a vested interest in seeing that all these merry press titles survive a changing age? What would happen if we stopped chatting randomly about them? 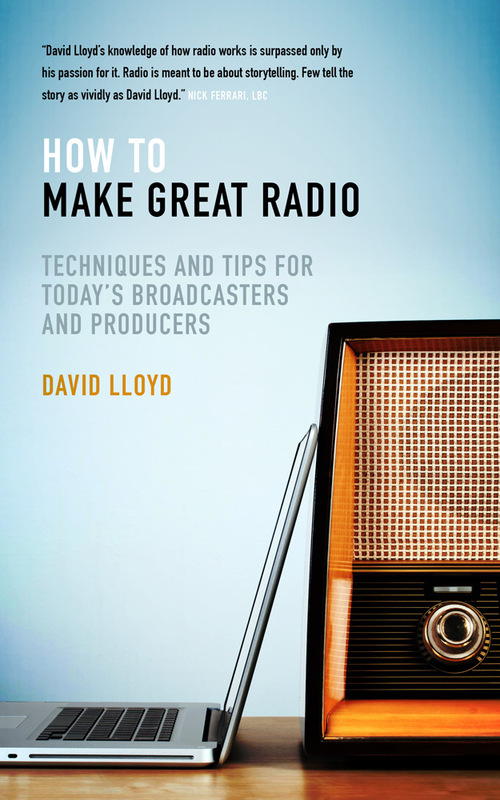 I have a book, 'How to Make Great Radio' which no newspaper has ever reviewed. Feel free to buy it. When you're in a war-zone bolt hole in the desert, thousands of miles away from home, living off emergency rations, fearing the worst, but with an important job to do, life's tough. Quentin Howard, now at BFBS, tells the story of how one Marine caught up in Afghanistan was surprised to see a BFBS chap in blue body armour, parachute in with a satellite dish and receiver under his arms. "Our morale was rock bottom. That one action changed the morale of my troop and enabled us to finish our mission". It's tough to over-estimate the value of that injection of normality which a few familiar TV and radio programmes provides. In the words of Quentin's friend, without that distraction and the morale boost: "I don't think we would have got through alive". For our services personnel around the World, radio and TV is more than just a bit of entertainment, it's a utility. From a lonely covert operation to a lengthy submarine stint. The best-planned military operations plan it in as part of the general welfare operation. For 40 years, BFBS has had the job of disseminating TV services around the Globe. For radio, the history goes back even further to 1943. A host of familiar radio names have appeared, from David Jacobs to Johnnie Walker. As I drove up the drive through security to one of their UK headquarters last week, it dawned on me that BFBS is not really just about the production of some relevant content, it's about distribution. The clever, enthusiastic team duly explained in plain English the scale of their task. They simply have to get signals anywhere, quickly. A range of sturdy satellite dishes of all shapes and sizes are employed on location, costing anything from £75 to £4,500 for a permanent installation in Africa. And, given the teams on the ground haven't got time for a lengthy IKEA assembly job, they can be dismantled and erected with ease. These bad boys duly pick up the signals from four satellite footprints covering about three quarters of the World - and bring them to base. What then? If required, dinky little FM or TV relay transmitters, housed in sturdy moulded flight cases can relay the signals to neighbouring remote areas. Internet delivery also plays its role - and many locations can enjoy wi-fi too, beamed across a newly-populous area, by a clever mesh of baby transmitters, designed to ensure that Eastenders doesn't stutter. Personnel can then enjoy on-demand entertainment on the 'BFBS Player'. I noted the dedicated iPad dashboards also offered daily press too, and was reminded that it's a lot easier for 'our lads and lasses' to read the Sun's headlines online - than it is to ship out the hard copies. Training videos were hosted too, including the one I glimpsed about how to search a ship. That knowledge may come in handy one day. Let me know if you need me. Submarines can be tricky. Of course you can't use wi-fi in those, I was told. I nodded knowingly, although had to cup my hand round my mouth and quietly ask why a little later. Apparently wi-fi signals are a giveaway of your location, which is not a terribly good idea. BFBS's remote delivery platform is the solution. 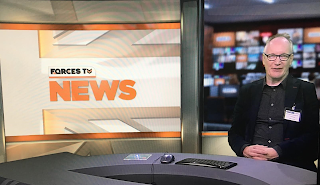 TV feeds are distributed of the main BBC and ITV channels, news and sports channels, alongside programming from BFBS's own stable including Forces TV and BFBS TV. Suitable familiar programmes are cut from domestic services, topped and tailed and fed out in linear fashion, interspersed with continuity and public service announcements. Copyright matters are negotiated by BFBS with sympathetic partners, aware of the value of the service and comforted by the fact that reception is limited to specific 'bits of Blighty' around the World. Online assets are password-protected. With radio, again a host of services are available, including BFBS, BFBS Radio 2 and Gurkha Radio, complemented by some online music channels. The principal BFBS music and entertainment services include an informative welfare and communications package aimed at the target community. News is beamed from the busy BFBS newsroom, feeding Forces TV and hourly bulletins on radio. All very important, but I just played with the teleprompter. Across UK bases, community radio licences have been acquired in relevant locations to broadcast locally-tailored material, backed up by a UK sustaining service. It's aimed at military service personnel, their families and the wider local civilian community. Overseas bases, in places like Cyprus, also enjoy their own localised radio programming, sustained by a global network service. There's cinema too. Literally. A canny partnership with the distributors means that films can be downloaded on site and watched by a congregation of forces personnel on a huge screen. The cinelink box and screen can easily be moved from the mess room to the officers' quarters to share the goodies around. And for those tough to reach places, there's always an up-to-date bundle of DVDs to bung in a Jiffy bag. I suspect a work experience chap does that. Live performance has been a staple of forces entertainment for generations. 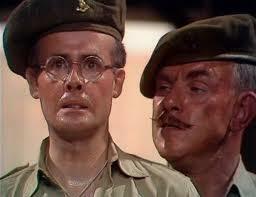 The tradition lives on, although the quality has moved on a little since the 'It Ain't Half Hot Mum' ENSA days. Accomplished performers descend willingly, knowing the event management on site, wherever it is, will be spot on thanks to CSE: "Serving those who serve". It was great to see some evidence of archiving too, given we know media companies are notoriously bad at 'keeping stuff'. The British Defence Film library is cataloging and keeping stuff from way back - offering a rich trove of visuals of warfare, vehicles, communications - and life. BFBS is now the broadcasting arm of the Services Sound and Vision Corporation (SSVC), a registered charity. Like much of media, budgets have been severely reduced in recent years, just as the number of platforms and opportunities grow annoyingly. From what I saw, they have coped admirably. Although the structure means that shareholders are not breathing down the necks of programme providers, a careful eye is kept on the appeal and value of the contribution. The MOD demands independent audience research. The response which BFBS garners speaks volumes about the value of the service. We all know that comfortable feeling of being wrapped up at home, curtains closed, watching a favourite programme. Imagine getting that same warmth if you're stuck thousands of miles away from family and friends. And, in challenging times, the value of accurate tailored information also provides rich assurance. "A rewarding audience who appreciate us like no-one else". Well done to the programmers, programming with purpose. And, maybe even more importantly, well done to the teams who make it happen in the most hostile of climates.